Interview: Lontalius on his upcoming album. New Zealander Eddie Johnson, known more commonly under his moniker Lontalius, returned to the musical world this year with the double-release of ‘I Wanted Him’ and ‘That Includes You’ (the latter of which was written with fellow CDM favourite, Roy Blair) - an insight into what’s to come as the follow-up to his ‘I’ll Forget 17’ debut album. I want to be progressive in how the music comes out because that's how music changes. Like, the three minute song exists because it fit on a 45 record. Music changes with the format so I'm okay to do what it takes to get things out. COUP DE MAIN: Firstly, congrats on getting your Twitter back! How did you do it? LONTALIUS: Thank you very much. It was like two months! I think I submitted my dad's ID - so it says my birthday is 1963, so I'm like an old man. What a mess. CDM: You’re an independent artist again. How has that process been launching these new songs compared to the last album for you? LONTALIUS: It's different but it's also good. I think there’s a safety when having a label, you know if things don't work out you can blame them, and now it's just like, damn, I can only blame myself. CDM: Do you think there’s a freedom that comes with being an independent artist in 2018? LONTALIUS: Yeah, there's a freedom, and it’s also a double-sided sword where it’s like, I can do whatever I want, but also with the failures they all come onto me, which is tough. It’s a tough thing to deal with. CDM: I think it’s nice for people to see an independent artist like you, as it shows people that it can be done. A lot of the time being signed to a label is the ‘end goal’ for a musician/artist, and they think it’ll instantly bring them the success they want. CDM: Have you finished the album, or are you still working on it at the moment? LONTALIUS: Yes, I'm pretty close to finishing. I keep going through a rollercoaster of emotions trying to work out if I even want an album. It just feels so old-fashioned sometimes, especially with what I saw with ‘I’ll Forget 17’ is that I put it out and then people listened to it, but then it's kind of done - there's no more promo to do. I think albums don't last the same as they used to. LONTALIUS: Even for me, it's just like, do I have to tweet my album again? My followers have already heard it. So that’s part of it, I felt really weird about putting out an album and then not having anything to follow it up with. So I've been trying to work it out. I think I do want an album just because it is, you know, I guess I have a part of that in me, that old-fashioned indie music fan. CDM: I think people do still want an album to listen to in that format. LONTALIUS: Yeah, like a project. I think people do want some sort of finalised thing to grab hold of. I want to be progressive in how the music comes out because that's how music changes. Like, the three minute song exists because it fit on a 45 record. Music changes with the format so I'm okay to do what it takes to get things out. CDM: It must be nice not have a set ‘deadline’ of when you have to turn an album in. LONTALIUS: I don't have to convince anyone of my dumb plans! CDM: Do you have internal deadlines for yourself? LONTALIUS: I really should have internal timelines, especially now, I want to, but I don't. At the moment there's a lot of freedom. There was a point last year where I wanted to put something out, and thinking about it now, that would've been bad, what I wanted to do then, I’m glad I didn’t. CDM: Are you still working under Race Banyon? LONTALIUS: Yes. That's gonna start happening soon. That took me awhile, just trying to work out what that is, in terms of dance music and how it relates to Lontalius. It’s been five years since I put out that EP. But it's so weird because Race Banyon was the #1 thing I was doing in New Zealand, I played almost like 100 shows, people knew me as Race Banyon and they didn't know what Lontalius was, whereas in America it’s the reverse. People don’t understand Race Banyon. CDM: Is it important for you to have them as two separate identities? Because of the different genres? 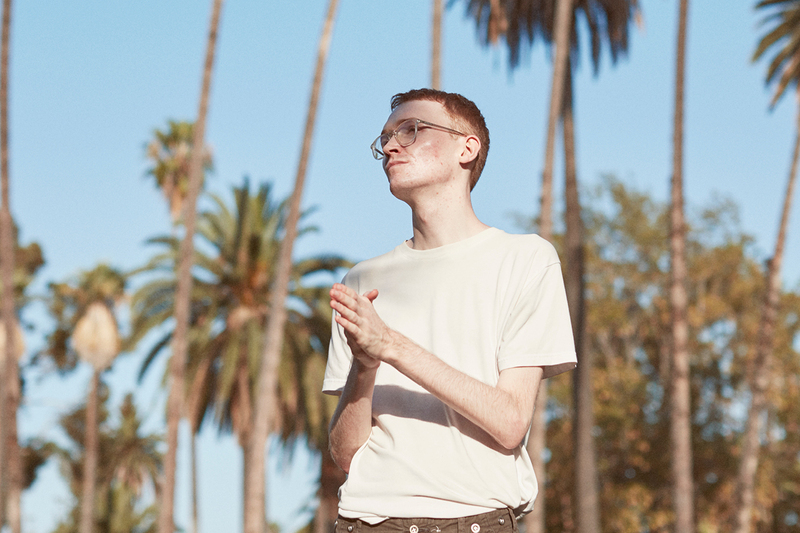 LONTALIUS: Yeah, I love both dance music and I love rock band music, and they're both quite different things that I fell in love with really deeply and in genuine ways and it doesn't make sense at the moment to join them together. Maybe one day it will, maybe I'll put out a Lontalius album to play in the club, but not now. CDM: When you first moved to LA, did you partake in group songwriting sessions? How did you find that experience? LONTALIUS: I did a bit of it. It didn't work out for me, in terms of the way that I write and the way that I approach music, it didn't really work in those rooms. Which was a weird thing to deal with because I definitely dreamed of it. CDM: I guess it’s what you imagine as a typical LA life. LONTALIUS: It’s like, ‘I’m gonna be The-Dream! I’m gonna write a Justin Bieber song. We’re gonna get it.’ But no. My strength as a songwriter didn't necessarily make sense in that context. LONTALIUS: Not a lot. Put out some more music. I'm going to Europe, with nothing,nowhere., which is gonna be really fun because I've never done a tour like that. It's going be great to get some experience, and play in front of people. CDM: Have you started planning the new live show? LONTALIUS: Yeah, I am going to do those shows by myself and I'm trying to work out a way to do that in a way that's not just me on the guitar, but also not doing the Ed Sheeran looping thing. CDM: Do you have plans to come back to New Zealand at any time? LONTALIUS: Yes! We're going to play some shows, I feel like I've ignored NZ for two years but I don't want to be an LA artist, I want to be a NZ artist. MusicMermaidens and Lontalius announced as Death Cab For Cutie support acts. MusicLontalius - 'Light Shines Through Dust' music video. MusicLontalius - 'Kick In The Head' music video. MusicLontalius announces album release show. MusicLontalius - 'Glow' music video. MusicListen: Lontalius’ remix of Troye Sivan's 'Ease'. MusicLontalius returns with two new songs, 'I Wanted Him' and 'That Includes You'.